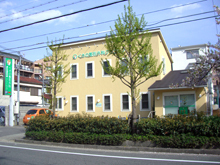 This House is orthopedics in Nishinomiya-shi. The foreigner copes, too. Come willingly. Copyright(C)　kusano seikeigeka clinic　All rights reserved.